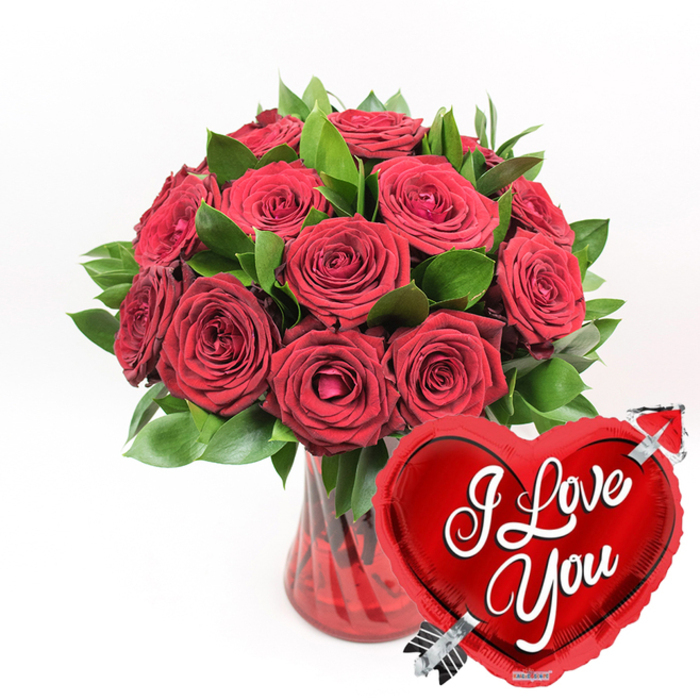 Make someone's heart overflow with joy and happiness with our wonderful Passion Struck bouquet. The combination of stunning red roses and a very romantic balloon will instantly warm your partner's heart! Hassle-free flower delivery service. The transaction was easy to process, and secure. Recipient dripped nothing but compliments on the superb, exquisite design of her gift! My husband decided to surprise me with this cute gift yesterday. He is just so romantic. The flowers were spectacular! The roses were so fresh that they lasted for over a week. The balloon was also great! Amazing beauty! The selected roses were glamorous! I'm really impressed and want to thank you for the flawless service. Didn't expect such an amazing shopping experience. really nice combination that stole the show on my friend's birthday! The delivery was made easy and trouble-free. Thank you so much Handy Flowers for making my girlfriend extremely happy with this wonderful gift pack!